America’s premier comedian, Jerry Seinfeld, returns to the Hollywood Pantages to perform his signature stand-up routine November 2 and 3. Seinfeld has been hailed for his uncanny ability to joke about the little things in life that relate to audiences everywhere. His latest projects include the Emmy nominated web series, Comedians in Cars Getting Coffee, and his Netflix specialJerry Before Seinfeld. Seinfeld continues to perform both nationally and internationally. 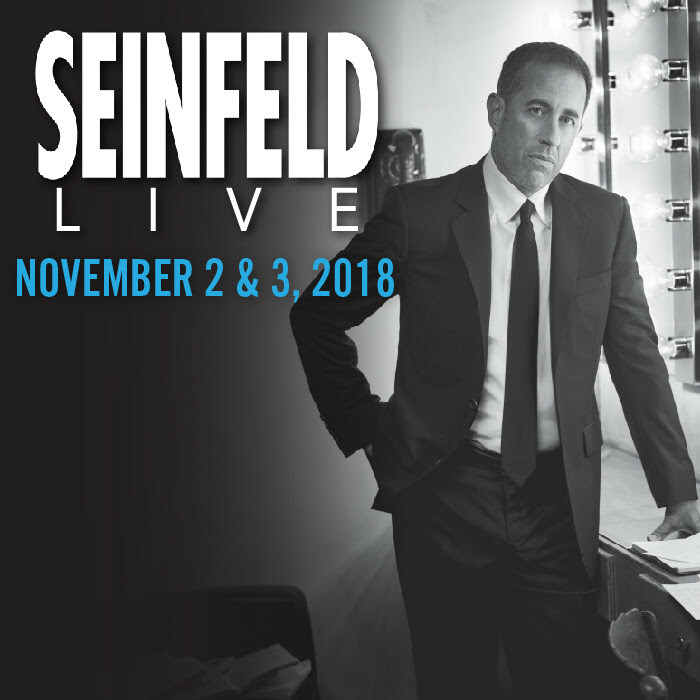 America’s premier comedian, Jerry Seinfeld, returns to the Hollywood Pantages to perform his signature stand-up routine November 2 and 3 and 4.